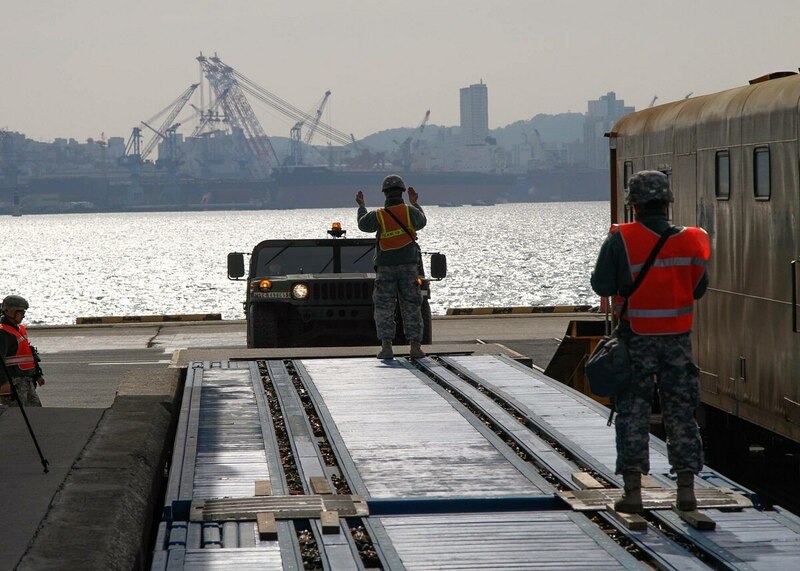 The U.S. Army Logistics Modernization Program has had a nearly 20-year road to sustainment, which included several firsts and established best practices for how logistics and financial enterprise resource planning, or ERP, systems should be developed, deployed and sustained. Part of the Program Executive Office for Enterprise Information Systems, the Logistics Modernization Program, or LMP, is one of the most-established and successful ERP implementations within the U.S. Army based on the magnitude of integrated business processes executed by the system’s capabilities. In 1997, LMP became the first fully integrated supply chain, maintenance, repair and overhaul system for the U.S. Army, to include financial integration of the Army Working Capital Fund. LMP has been live since 2003 with 23,000 users worldwide who use the system to manage and track delivery of equipment and materiel to soldiers where and when they need it. Download the ”Military Logistics” e-book for free. As it moves into the future, LMP aims to set the standard for programs in sustainment and will continue to enhance Army readiness by providing soldiers with the tools they need to fight, survive and win. In December 2016, LMP transitioned from its contractor lead systems integrator and service provider to a government-led capability, thereby completing one of the most complex ERP service migrations ever attempted within the U.S. Army. By the end of 2017, LMP’s product management office and the Shared Services Center of the Communications–Electronics Command’s Software Engineering Center completed its first full year of planning, managing, executing and monitoring LMP sustainment operations and improvements. In this unique organizational arrangement, the LMP product management office uses a framework of proven best practices and methodologies to serve as the lead systems integrator to manage and monitor the full LMP support life cycle, which includes requirements and resource management, contracts and funding management, systems engineering functions, project management, integration and schedules, configuration and release management, and cybersecurity. To complement those efforts, the Shared Services Center is executing design and development life cycle support, namely completing the work to maintain, fix and enhance the baseline system. LMP’s government-led lead systems integrator team is delivering as effectively as the prior contractor-led team in all performance categories and continues to exceed industry standards for system and service performance metrics. The system has an average response time of less than two seconds per transaction and an average critical system availability of 99.9 percent. The program also projects a 33 percent cost avoidance in fiscal 2018 from government staff performing the same level of programmatic support as the contractor. This is an immense accomplishment that impacts soldiers by ensuring that operations are smooth, system issues are rare and administration does not get in the way of mission support. Also in 2017, LMP became the first U.S. Army ERP to complete data center migration to the Defense Information Systems Agency, which supports the Department of Defense’s strategy of utilizing centralized data centers. To complete the transition, the LMP team and partners put in more than 100,000 hours, executed nearly 10,000 lines of tasks, and coordinated with more than 200 customers and partners from 17 U.S. Army and DoD organizations. As a result, LMP has maintained its standard of superior performance and has experienced a 20-40 percent increase in critical transaction-processing speed since October 2017. Faster processing means faster order completion, faster delivery and faster return of equipment to soldiers in the field. LMP is also redefining what it means to be in sustainment by following the new DoD Instruction 5000.75 for continuous process improvements. The improvements are being worked as solution-enhancement initiatives with two work efforts underway to deliver new, critical components that support the Army Materiel Command mission. First, to address audit findings and eliminate duplication of capabilities within multiple systems, LMP will subsume the Army Workload Performance System. After the transition, LMP will use its Workload Planning and Reporting, or WPR, tool to continue the effective management of workforce, workload and budget-planning functionality at Army Materiel Command organic industrial base facilities through planning and forecasting of workload requirements. This ensures the right amount of equipment and materiel are on hand at the right time, along with the right staff to complete the work. Second, LMP will deliver Total Asset Visibility at Contractor (TAV-C) locations capabilities to improve tracking and accountability of government-furnished property and other assets stored or held for repair at contractor sites. This effort ensures life-cycle management commands of Army Materiel Command have true visibility of available assets. Moreover, it improves the way the Army tracks items at contractor facilities. Both WPR and TAV-C are examples of how continuous process improvements to the LMP better enable AMC to meet the U.S. Army’s readiness needs. LMP’s road has been serpentine with hills and valleys. Nevertheless, it has been a road forged with soldier readiness in mind. With groundbreaking innovation and best practices, programs may look toward LMP as a model to strengthen the strongest army in the world. Lt. Col. Michael N. Parent is the product manager for the U.S. Army Logistics Modernization Program.